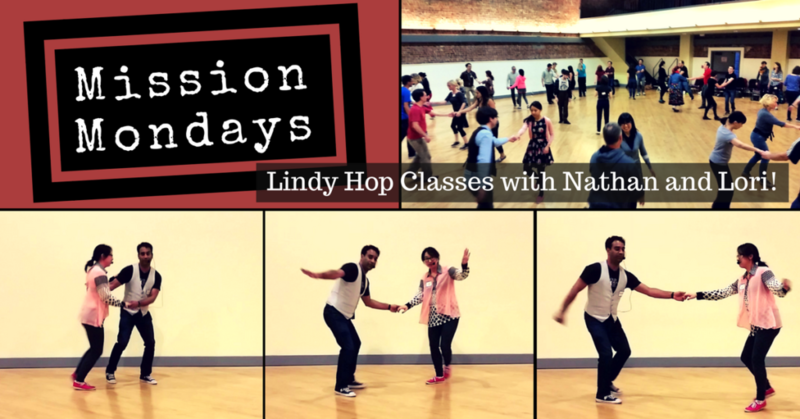 Monday Lindy Hop Classes in the San Francisco Mission District – Swing or Nothing! Next class session starts Monday, April 1st, 2019! Register by Saturday before the session starts and save $10 or more! plus 30-minute practice session after each class! Learn to Lindy Hop – the classic partner swing dance from the 1930s and 40s – on Monday evenings in the heart of the SF Mission district at the Women’s Building. In our friendly, neighborhood dance classes you’ll learn to dance, have fun, meet new people, and get great exercise all at once! $60 early registration online by Saturday, March 30th. $70 full price online / $75 at the door. $20 weekly drop-in with teacher permission. 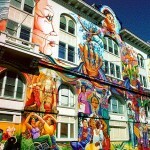 monthly class field trip to fun SF swing dance venues…practice what you learned in class! There are two roles in Lindy Hop: leaders (traditionally men) and followers (traditionally women). You don’t have to be traditional in our class, but we do ask that you choose one role and stick with it for the 4-week series. You will learn the fundamentals of this flashy, athletic and high-energy dance, introducing fundamental footwork, lead-and-follow technique and Lindy Hop’s signature style. This is beginner level class. Previous swing dance experience (e.g. East Coast Swing) is helpful, but not required. The class has a progressive format which means we review and build upon previous weeks’ material each class. No partner is needed; we rotate frequently in class. A new month-long class series starts the first Monday of every month. 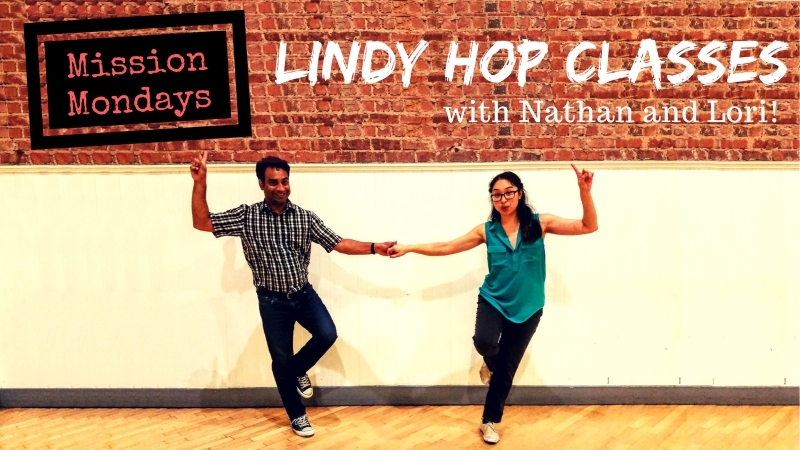 We always cover the essential Lindy Hop steps (swing out from open/closed and lindy circle) and then teach a variety of beginner moves each month. We recommend taking all 4 months of Beginning Lindy Hop (A-D) before moving up to the Intermediate Level. Start during any month A-D…there is no need to start with month A. In this class, you will build up your repertoire of lead and follow techniques, classic lindy hop moves and styling. You must already be confident with 6- and 8-count basics, including the Lindy Hop swingout and related turns, and basic Charleston steps. 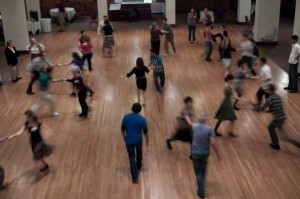 4-5 months of Beginning Lindy Hop and social dancing are recommended before taking this level. Nathan is an award-winning swing dancer, instructor, performer and DJ in San Francisco. Dancing since 1997, Nathan learned his chops on the social and competitive dance floor, at national and international dance camps, and as a performer with the SF Bounce and 3 Minute Maniacs swing dance troupes. Nathan started teaching dance in 2005 and is the regular dance instructor at Cat’s Corner – the Wednesday night swing dance at Balancoire Night Club, and also teaches weekly group classes at the SF Women’s Building in the Mission District. When Lori's father was diagnosed with Type II diabetes and given stern doctor’s orders to exercise 3-4 times a week, he took it as carte blanche to attend every conceivable dance class in the East Bay. His enthusiastic daughter was happy to tag along and it wasn’t long before the Lindy love-bug bit her. Lori is an indiscriminate consumer of all types of dance and a peppy partner on the dance floor, proving that the right attitude can make up for many technical sins. When not dancing, she works as an administrator at Stanford University, eats her body weight in sushi, and juggles at least five books on her nightstand at once.